This book seeks to enhance understanding of the impacts of project setup and its implementation environment on project performance by leveraging information from the study of a rich set of European transport infrastructure project cases. It puts forward a system’s view of project delivery and aims to serve as a strategic tool for decision makers and practitioners. The proposed approach is not limited to specific stakeholder views. On the contrary, it allows stakeholders to formulate their own strategies based on an holistic set of potential implementation scenarios. Furthermore, by including cases of projects that have been influenced by the recent financial crisis, the book aims to capitalise on experiences and provide guidelines as to the design and implementation of resilient projects delivered both through traditional as well as Public Private Partnership (PPP) models. 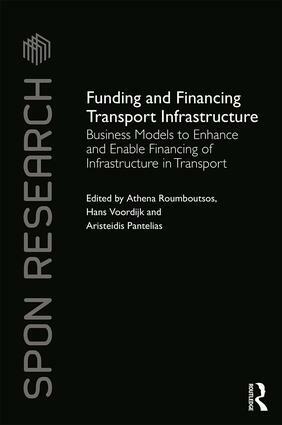 Finally, the book proposes a new Transport Infrastructure Resilience Indicator and a corresponding project rating system that can be assessed with an eye to the future, ultimately aiming to support the successful delivery of transport infrastructure projects for all stakeholders involved. Athena Roumboutsos is an Associate Professor in the Department of Shipping, Trade and Transport at the University of the Aegean, Greece. Hans Voordijk is Associate Professor in Supply Chain Management in the department of Construction Management and Engineering and director of the PDEng program in Civil Engineering at Twente University, the Netherlands. Aristeidis Pantelias is a Senior Lecturer at the Bartlett School of Construction and Project Management and Programme Leader, MSc Infrastructure Investment and Finance, University College London, Faculty of the Built Environment, UK.